Celebrating our 25th Anniversary at our Spring event OEF HONORS! on April 28! Thank you for supporting OEF. 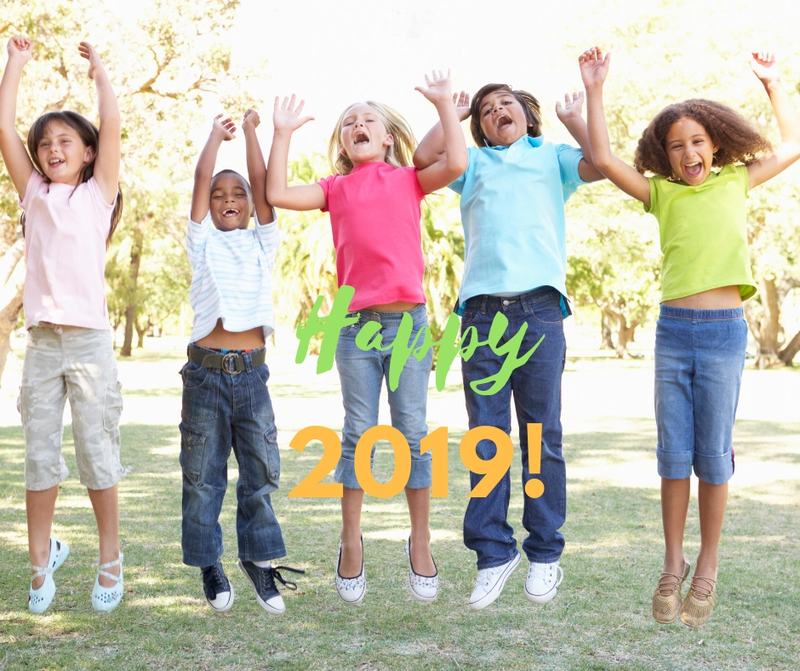 Together, we’re enriching the lives of students, teachers and families through quality public education in the Ojai Valley! Giving Back & Enriching Lives on #GivingTuesday! 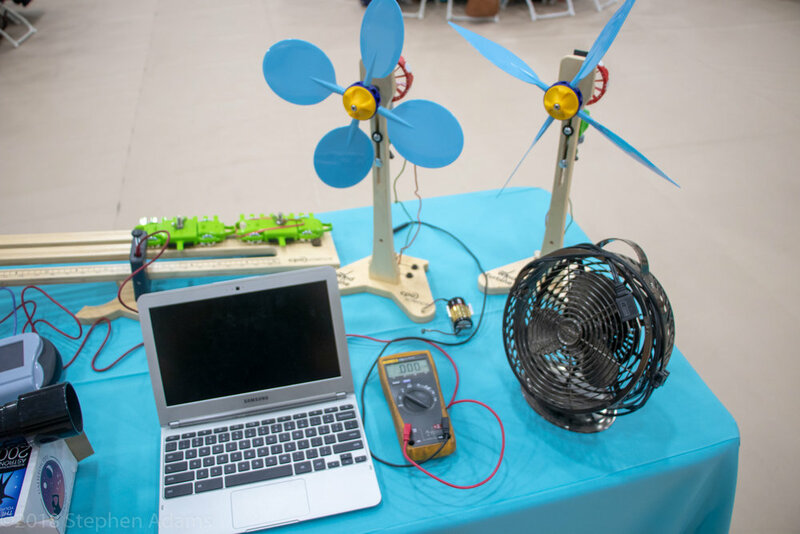 funded by a grant from the Ojai Education Foundation! Tuesday, November 27 marks "#GivingTuesday", the 6th annual globlal giving movement that kicks off the Holidays and Charitable Giving season! During this time of reflection and giving back, we hope you will consider a year-end donation to OEF! 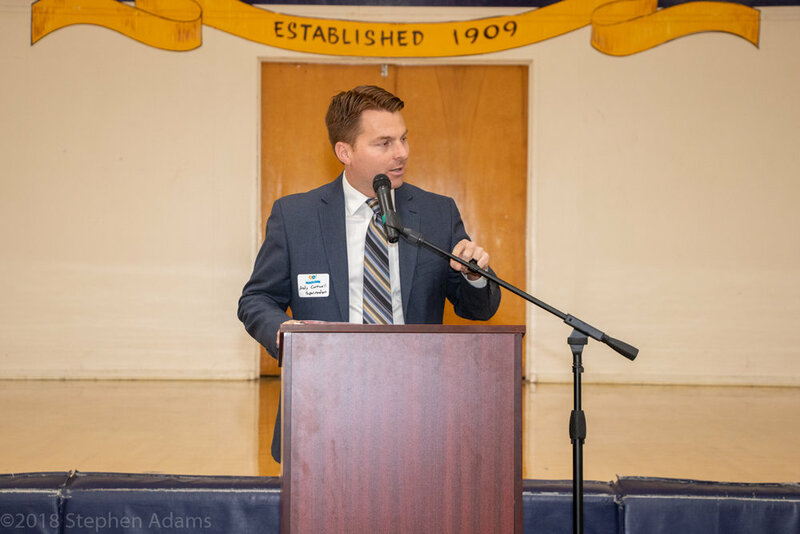 Your donation will fund both the OEF Endowment, as well as a diverse array of grants from teachers, principals and administrators. And starting for the first time this year, OEF's impact will expand to fund grants for students as well! 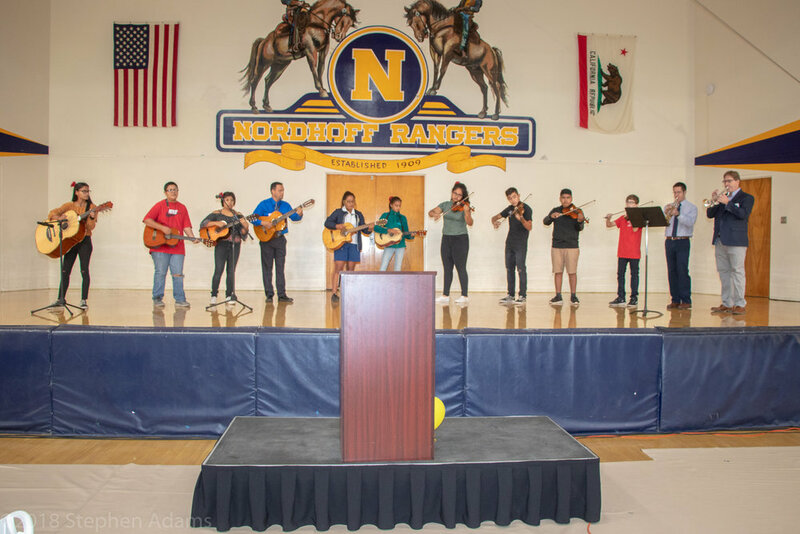 $17,000 investment in Art for a Maker’s Space at Matilija JHS and Ceramic Equipment at Nordhoff HS. $6,000 investment in online, interactive Math curriculum for 500 Middle School Students at Matilija and more! And with this year marking our 25th anniversary, we hope you will consider a $250 or $2500 donation! Thank you for your continued support. 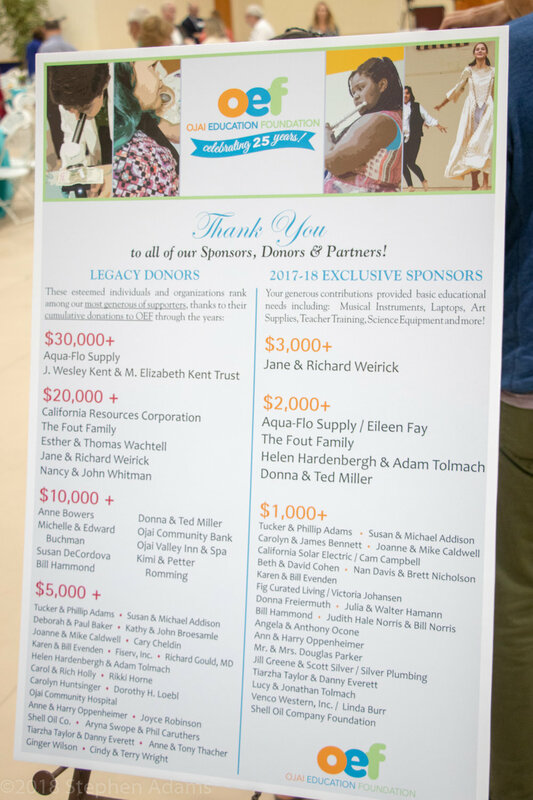 We look forward to continuing our legacy of enriching lives through public education in the Ojai Valley for the next 25 years and beyond! DURING ”OEF Celebrates!” Fall CAMPAIGN! 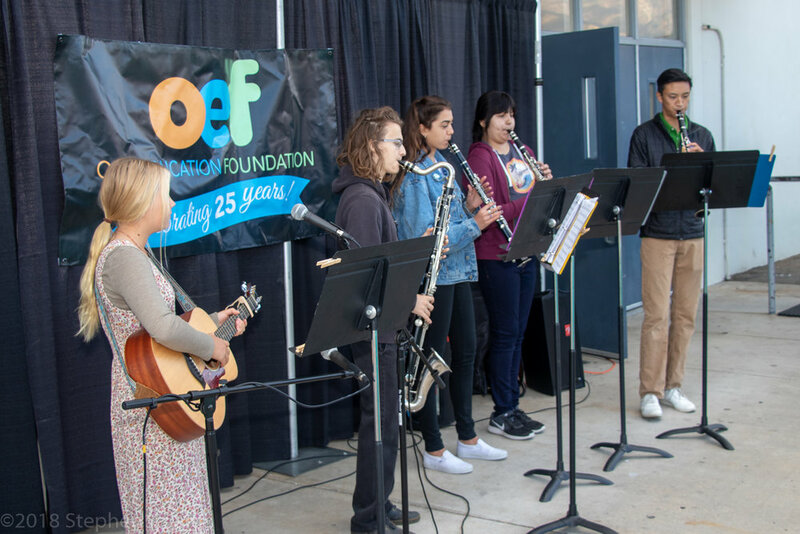 The Ojai Education Foundation (OEF) raised over $50,000 during its 2018 Fall Campaign which included “OEF Celebrates!” Fall Fundraiser event on October 11 at Nordhoff High School. 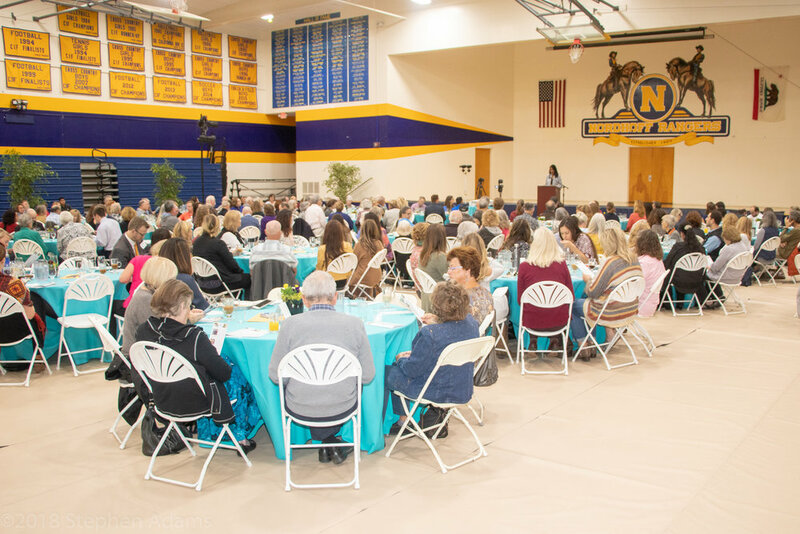 Approximately 240 guests attended the event that: recognized OEF’s 25th anniversary, showcased OEF’s 2018 grantees, featured musical, dance and theatrical performances, and paid tribute to OEF’s three Education Heroes of the Year: Natalie Hay, Nordhoff Science Department Chair and Teacher, Asli Ruf, Full-Time District Volunteer for over 12 years, and Abigail Runyan, Senior Honors Nordhoff High School Student. 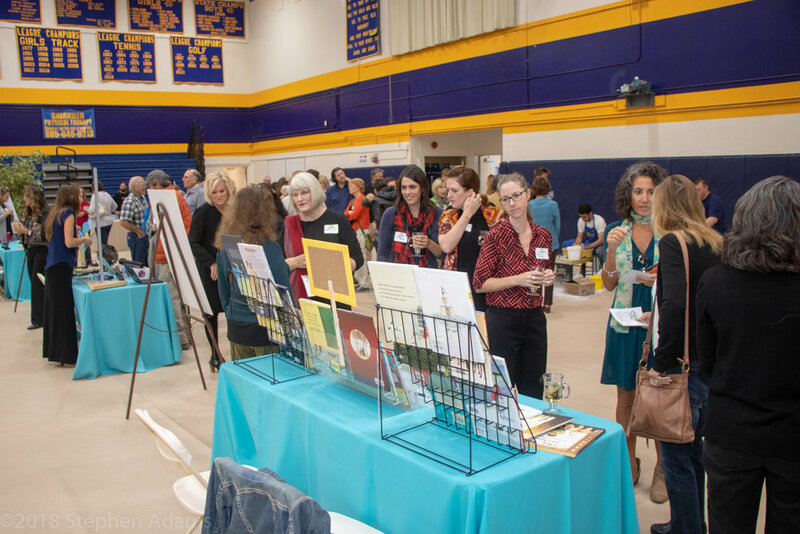 Go to “OEF Spotlights Education” for the story about the event featured in the Ojai Valley News! OEF ANNOUNCES TWO “FIRSTS” LEADING UP TO FALL FUNDRAISER! 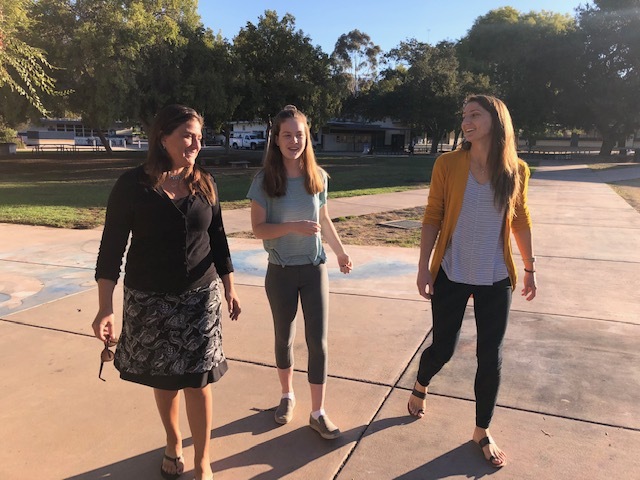 Asli Ruf, Abilene Runyan and Natalie Hay on the campus of Nordhoff High School. 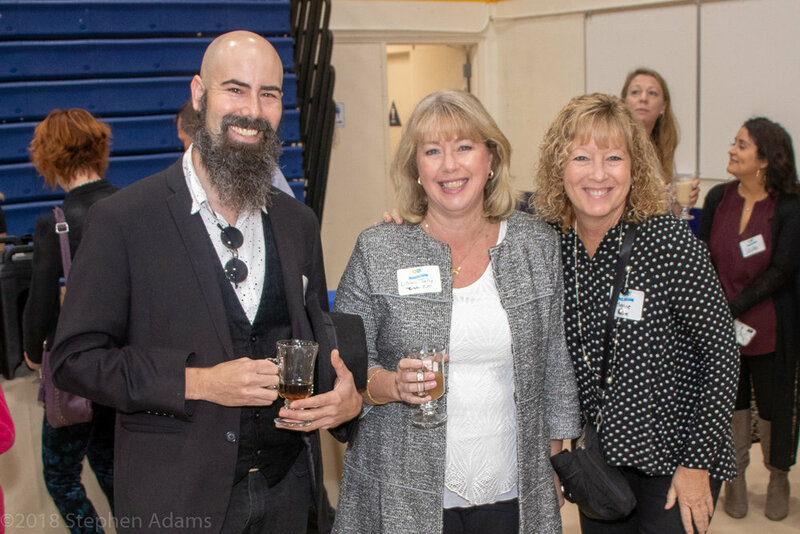 Each year, OEF recognizes an “Education Hero” for his / her outstanding service to public education in the Ojai Valley. OEF's Education Heroes are honored at our annual Fall Fundraiser. Go to “OEF Celebrates!” for information about our 2018 Fall Fundraiser on October 11. Go to “Congratulations to OEF’s 2018 Education Heroes!“ to read more about these extraordinary individuals! to Support Public Education in the Ojai Valley! 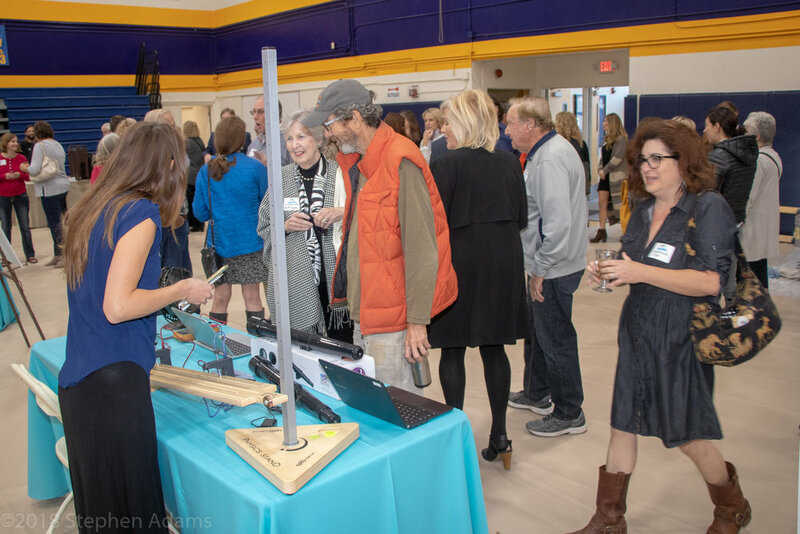 Abby Runyan, Nordhoff High School Junior, along with Nordhoff Science teachers Naiyma Houston and Natalie Hay, take a look through a science telescope funded by the Ojai Education Foundation (OEF). OEF provided a grant to fund 50 telescopes for Hay’s class in addition to providing grants to more than 20 other teachers throughout Ojai Valley public schools for the upcoming 2018 – 19 school year. 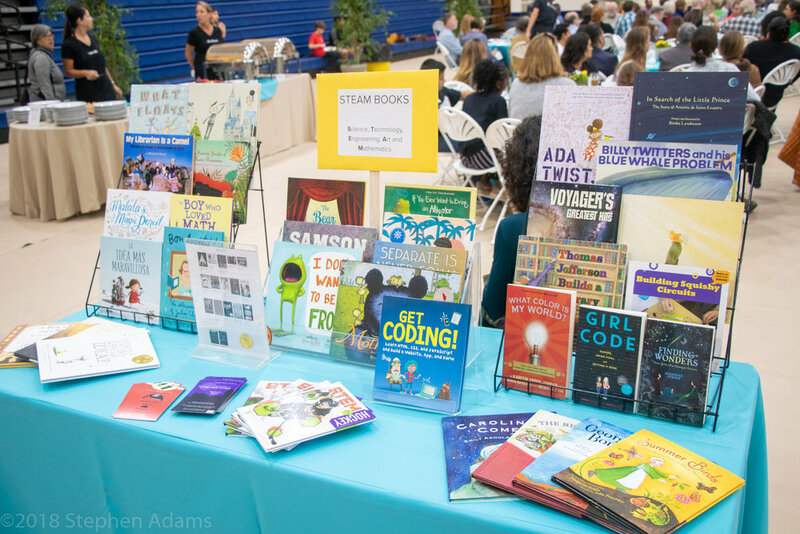 Go to 2018 - 19 Grantees to read more about this year’s amazing teacher grantees! Click video to see several of OEF’s 2018 - 19 Grantees! Linda Burr / Venco Western, Inc.
John Galaska Rainforest Plant Co.